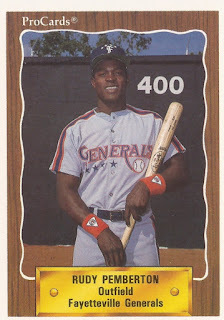 Rudy Pemberton made his return to the majors in September 1996, but his immediate thoughts were with his his AAA team. His Pawtucket team was preparing for the playoffs, The Associated Press wrote. Pemberton, however, soon turned to the task at hand: The majors. "When I was first called up I felt kind of bad about leaving my team behind, but making it to the big leagues is what you look forward to your whole career," Pemberton told The AP. Pemberton first made the bigs for 12 games the year before with the Tigers. He got into 13 games that year with the Red Sox - turning in a .512 batting average in the process. Overall, Pemberton saw time in three major league seasons, getting into 52 big league games. He also saw two seasons in Japan and one in Korea over a professional career that spanned 18 seasons. Pemberton's career began in 1988, signed by the Tigers as a free agent out of his native Dominican Republic. Pemberton started with the Tigers at rookie Bristol and returned there in 1989. 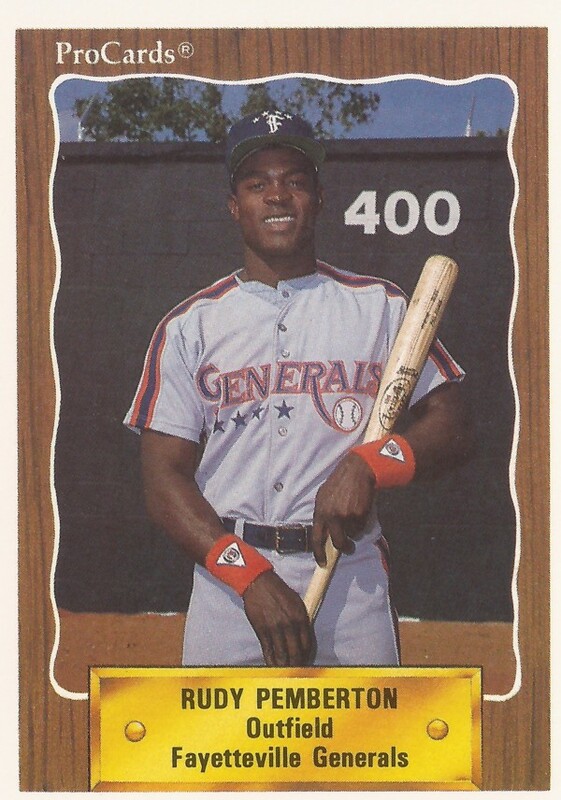 He played 1990 at single-A Fayetteville, hitting .278 over 127 games. He hit an inside-the-park home run in a May game. "It surprised me a little bit when he waved me home," Pemberton told The Fayetteville Observer of the home run. "I thought it was going to be a triple." He made high-A Lakeland in 1991, then AA London in 1993 and AAA Toledo in 1994. He knocked in two on a triple in an August 1994 game. He won International League player of the week honors that same month. Pemberton made his debut with the Tigers in April 1995. He stayed up with the big club into late May, getting 30 at bats and picking up nine hits for a .300 average. Traded to the Red Sox in early 1996, Pemberton played the season at Pawtucket. He then made Boston in September. He picked up 21 hits in 41 at bats for a .512 average. The average marked the best ever for a player with more than 30 at bats in a season, according to The AP. In spring 1997, Red Sox manager Jimy Williams opted to see what Pemberton could do, giving him the right field job. "He looks comfortable out there. He's played well," Williams told The AP of Pemberton. "Can he sustain what he's doing? There's only one way to see, and that's keep him out there." Pemberton stayed with the big club into early June, playing right field in many of those games. He hit a three-run home run in an early May game. Overall, he hit .238, rounding out his major league career. Pemberton, though, soon went to Japan. He played 25 games for Seibu later that year in 1997, then another 38 in 1998. He played a season back stateside in the minors in 1999, then moved to Mexico. He played part of 2002 in Korea, but largely played in Mexico through 2005, his last recorded season.